ARLINGTON, Va. — Before acceptance to flight school, aspiring naval pilots must pass the Aviation Selection Test Battery (ASTB)–a rigorous intellectual exercise that evaluates things like aviation and nautical knowledge, math and engineering skills, and personality traits. Since training a single pilot costs the U.S. Navy over $1 million, the ASTB is a critical tool for finding the right candidates to fly manned aircraft, such as fighter jets. But the Navy doesn't have ASTB-style tests to qualify pilots of today's latest aircraft–remotely operated, unmanned aviation systems (UAS), popularly called drones. Since the wars in Afghanistan and Iraq began, UAS have played ever-larger roles in intelligence gathering, surveillance and reconnaissance, and other missions. Consequently, there's an increasing need for well-trained UAS pilots. Georgia Tech and the Naval Aerospace Medical Institute–sponsored by the Office of Naval Research (ONR)–are developing a series of new specialized tests to assess cognitive abilities and personality traits, and identify potential Navy and Marine Corps UAS operators. It's called the Selection for UAS Personnel, or SUPer. "The temperament and personality of F-18 pilots won't necessarily be the same as those flying surveillance aircraft," said Cmdr. Brent Olde, a program officer in ONR's Warfighter Performance Department. "Neither will the required skill set be identical, so it's important that we create a standardized way to assess the abilities of future UAS operators." In recent years, the Air Force established its own formal screening process for UAS operators, and the Marine Corps designated a UAS career path for its ranks. The Navy, however, doesn't have an official selection and training pipeline specifically for UAS operators. Historically, the service took aviators who already earned their wings, gave them on-the-job, UAS-specific training, and placed them in temporary positions. SUPer comprises both written and computerized tests covering skills like math knowledge, spatial orientation, reading cockpit dials and critical thinking. SUPer participants also study computer maps featuring prominent natural or manmade landmarks–and then remember object locations on larger, less defined maps. Tests are followed by training exercises on a flight simulator designed to mirror common UAS missions. 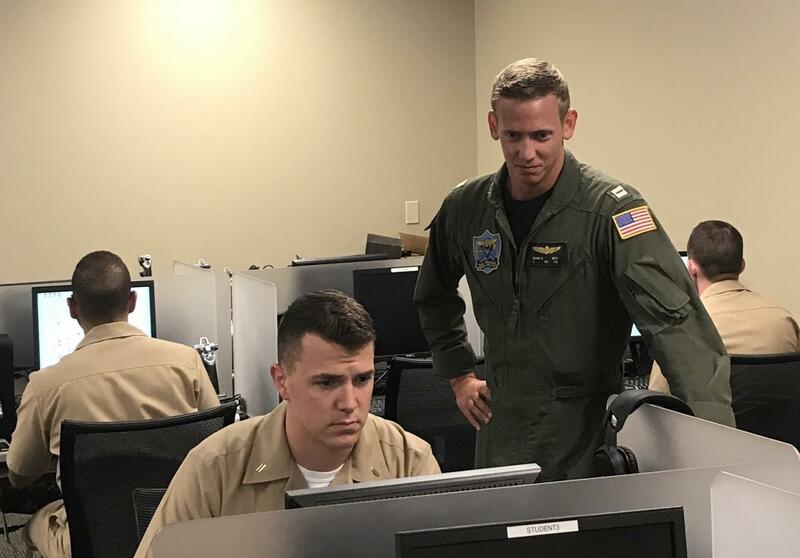 Participants also complete psychological and personality tests to ascertain if they would excel as UAS pilots–which often involves 12-hour shifts sitting in front of a control station, inside of an isolated command center. "SUPer will be a valuable tool in helping the Navy pick the best people to become UAS operators, and determine who will be an optimal fit and find satisfaction in the role," said Dr. Phillip Ackerman, a Georgia Tech psychology professor overseeing SUPer's development. Approximately 350 civilian and military volunteers are participating as SUPer research subjects at Ackerman's Georgia Tech laboratory and various Navy and Air Force training centers. The current version of the SUPer test battery takes approximately four hours to complete. At September's end, Ackerman and his research team will review the results; design a standardized exam for validation by prospective Navy and Air Force UAS pilots; and, hopefully, have a product ready for fleet implementation in 2018. "Training pilots for manned and unmanned systems is time-intensive and expensive," said Lt. Cmdr. Tatana Olson, deputy director of the Naval Aerospace Medical Research Laboratory at the Naval Medical Research Unit, Dayton, and who serves as SUPer's government lead. "SUPer will define and assess the knowledge, skills and abilities required to be a successful UAS operator, and, ultimately, optimize naval use of human resources for unmanned aviation."